Best Wishes for 2019 from AVRO! Please click here for your digital copy of the new edition of AVRO News, or here for the pdf version. We hope that you enjoy this issue and are open to any feedback you may have. Our magazine celebrates the industry as well as being informative on everything you need to know and want to know. It’s all about you! If you have any editorial that you would like us to include please feel free to send it in for inclusion in the next issue which can also help to publicise your company. Alternatively, if you would like to advertise your business in our magazine and website we have some great rates and offers! Today AVRO continues to be the leading voice of the industry and operates throughout the United Kingdom and Republic of Ireland through 14 regions and is the only representative body with a recognised set of standards. AVRO specialises in providing direct support, training, advice and services to our members as well as offering key member benefits such as cost effective insurance. AVRO members operate more than 5,000 recovery vehicles nationwide so represent the largest fleet cover of any recovery organisation. Each member is independently audited to ensure AVRO's minimum requirements are maintained. By using an AVRO member for your recovery requirements you know your fleet is in a safe pair of hands. Earlier in September 2017, at the Tow Show, we were able to present our updated guidance for recovering vehicles from a smart motorway at our Highways England stand and in an address to representatives of your industry. The film and material we have produced intended to guide you in safer recovery practices, is a direct result of our learning from over twenty years of operating controlled and smart motorways, together with collaborative work we have done together, such as a recent joint exercise at the Fire Service training college in Gloucestershire. Perhaps the most important piece of this advice that we gave at the Tow Show and one which we emphasise in every encounter with you and your colleagues is the message that vehicle recovery operators are never expected to work in a live lane on the motorway. We think it is vital to communicate as widely as possible with your colleagues to ensure that recovery from our network can be made as safe as possible. Highways England will support you by setting signs and signals to improve your safety and allocating traffic officers or calling on police resource if required to ensure that you should never have to attempt to recover a vehicle which has broken down or had an accident in a live lane. Further the film and guidance outlines ways to maximise safety during recovery when a vehicle is in an Emergency or SOS Area adjacent to the motorway, particularly when re-entering the carriageway from an emergency area, by encouraging you to get in touch with our Regional Control Centre via the emergency phones in situ or by calling 0300 123 5000. 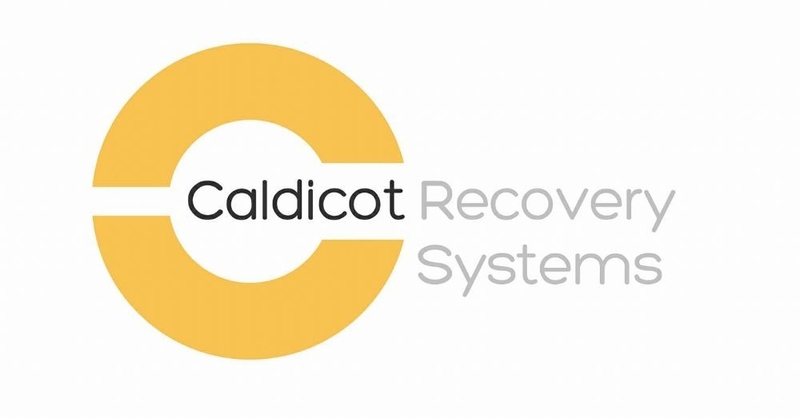 The guidance has been reviewed by leading industry representatives and we are confident that the advice it contains does not place any extra burden on yourselves as recovery professionals and instead provides you with better information to carry out your duties more safely on our network. Once shared with your colleagues, I would welcome your feedback on both the film and printed guidance. 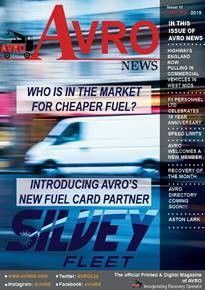 Make savings on your fuel bill - Avro are working in partnership with The Fuelcard People to offer their members competitive fuel card packages. It was a great challenge and much fun for a good cause! To raise money for AVRO’s Benevolent Fund this year a team of 5 very brave men took on a 10,000 mile rally starting in Dublin on 18th March and returning 16 days later on 3rd April. AVRO is the oldest trade association in the recovery sector, having been established since 1977, and provides a range of direct member services as well as lobbying on behalf of the industry. It has fourteen regions covering all of the UK and Ireland, and the AVRO Benevolent Fund assists members and their families in times of need. Stars Garage is a family run business that has been established for a number of generations, with years of varying experiences and skills. All staff are fully trained and qualified in various fields of motor mechanics, engineering, computer diagnostics and vehicle logistics. In 1970 Smiths Garage was born. Mr Smith opened a garage in Cardiff Central Bus Station in the Hertz Complex. Not happy with the area, Mr Smith asked his mum if he could use her shop lock-up in Harriet Street, Cathays, Cardiff as a garage. He had to get planning permission to use the site for commercial use - it was granted. The company grew and expanded into breakdown and recovery, whereby Mr Smith realised he needed a bigger property and thus he rented a garage complex off Newport Road, Cardiff. The two properties were run side by side which opened up opportunities to work for recovery operator companies such as the AA and RAC. In the 1980’s a property in Fanny Street, Cardiff became available and was purchased with the intention of the site becoming an MOT station and bodyshop. Mr Smith gave up the Newport Road site for Fanny Street. In 1995 Mr Smith sold the Harriet Street garage, so as to develop the Fanny Street site. In 2000, Mr Smith sold up the Fanny Street garage and moved premises to a site in Tremorfa, Cardiff. Over the last 10 years the business has grown and we have now moved to a more modern complex in Dominions Way Trading Estate, Cardiff CF24 1RF. Our years of experience within this industry helps us take care of all vehicle needs.